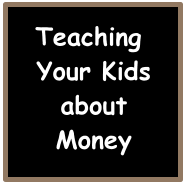 Teaching your Kids about Money is a comprehensive guide for teaching your child or teen about money management and financial literacy. At the beginning of each month in 2012, I will give you more information and tips about introducing these topics in your family and will share some practical ideas for implementing these concepts into your everyday life. For previous month's topics, click here. 1/3 ate the marshmallow immediately. 1/3 waited for a short period of time but then gave in to the desire to eat the first marshmallow, causing them to forfeit the second marshmallow. 1/3 were able to delay their gratification and earn two marshmallows. Many years later the same children who participated in this research were interviewed as adults. The children who were able to delay their gratification had higher incomes, happier marriages, better health and scored an average of 210 points higher on the SAT (source: Daily Finance). 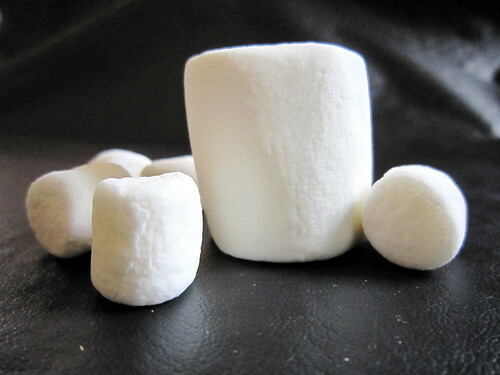 How does the Marshmallow Study relate to financial literacy and kids? Teaching children how to curb impulses and delay gratification can lead to financial success as adults. How can we teach delayed gratification to our children and teens? We live in a very demand oriented society. If we don’t like what is on TV at the moment, we have 100 other channel options, instantly streamed movies or stacks of DVDs from which to choose. If we have finished our book, we can download another immediately instead of waiting until the next day to go to the library. Doing research for a school term paper? No need to dig through the encyclopedias or check out 15 books from the library. Hit the internet and get all of your info within minutes. While these are wonderful, technological advantages, the downside is that our kids often expect rewards immediately. This immediate gratification is replacing the sense of achievement and pride from completing a hard earned, long term task. There are many ways to develop delayed gratification. It can be as simple as waiting to watch TV until after the homework is finished or going to the swimming pool after the laundry is folded. From a financial standpoint, we can use the concepts of short term savings and long term savings with our kids to help them develop delayed gratification skills. It is important to realize that the definition of “short term” and “long term” vary tremendously depending on the age of the person. Adults think of long term savings as retirement money. This is completely foreign to a five year old. To a kid, long term could mean 3 months. I have put together a simple chart to illustrate the general time frame for short term/long term savings for the different ages along with examples of common items that are saved for at the different ages. Talk with them about an item that they want. Is it a short term savings item or a long term savings item? (I am using the word “item” but it can be a charity donation, a college account, a trip account, etc.). Help them develop a plan to earn/save the money needed. Can it be covered by allowance? Do they need to find extra jobs to earn more money? How quickly are they wanting to achieve the goal? Write down the plan. Help them find a tracking system to keep up with their progress. Paper and pencil ledgers, a spreadsheet or an online system, like MoneyTrail, are great options. Celebrate when they achieve their goal. Be sure to congratulate them on their effort and dedication, not just on the item itself. By encouraging your child to set savings goals for specific items, they can practice responsible money management techniques and develop delayed gratification skills. What other techniques do you use to get your child to wait for two marshmallows? I wonder how many of that 1/3 didn't like marshmallows? Now I am curious. I'm off to google "stanford prison experiment". I haven't heard of this! Can I get a "do over" for my child and money? Great stuff. Just have some more kids, Thad!